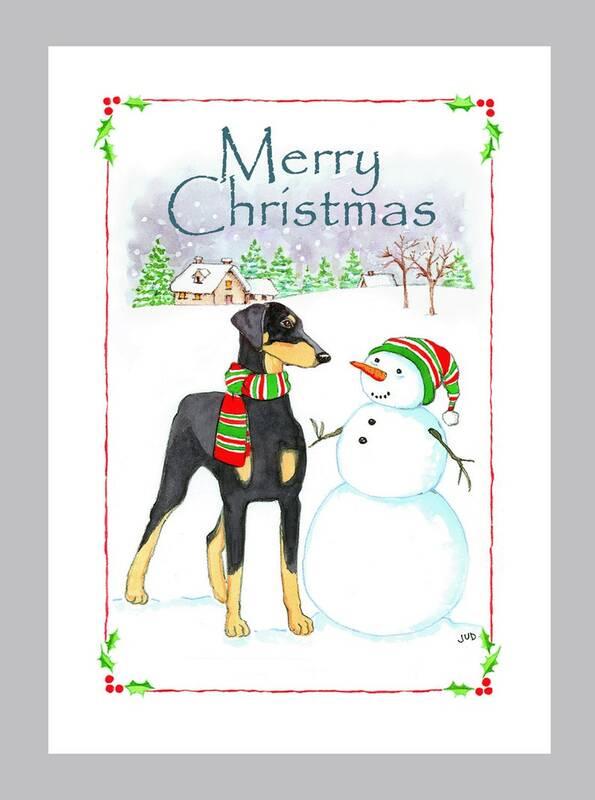 Doberman Pinscher wishes Snowman a Merry Christmas. Box of 16 Cards, 5" x 7" & 16 White Envelops, Inside - "Wishing You Joy this Holiday Season!" This is from my original watercolor illustration, printed on white 110 lb index paper, green Seal Certified, Recycled paper. Printed in Oregon, U.S.A.
Beautiful cards !1 Thanks for quick shipping ! I had three Shih-tzus who are waiting at the Rainbow Bridge and was always able to get special items for them, but my new Japanese Chin is a different story. I was glad to find a company that carried things for this breed.